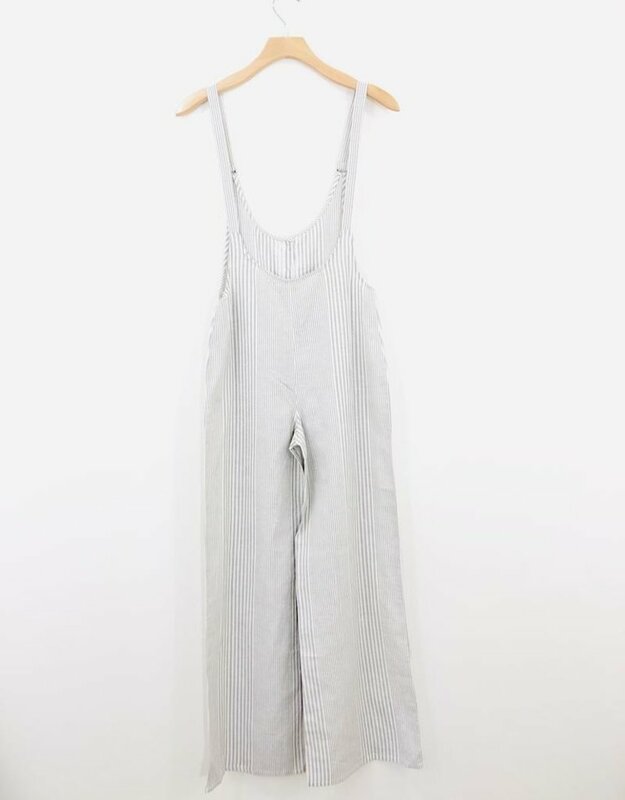 The kind of jumper that you'll wear all the time! 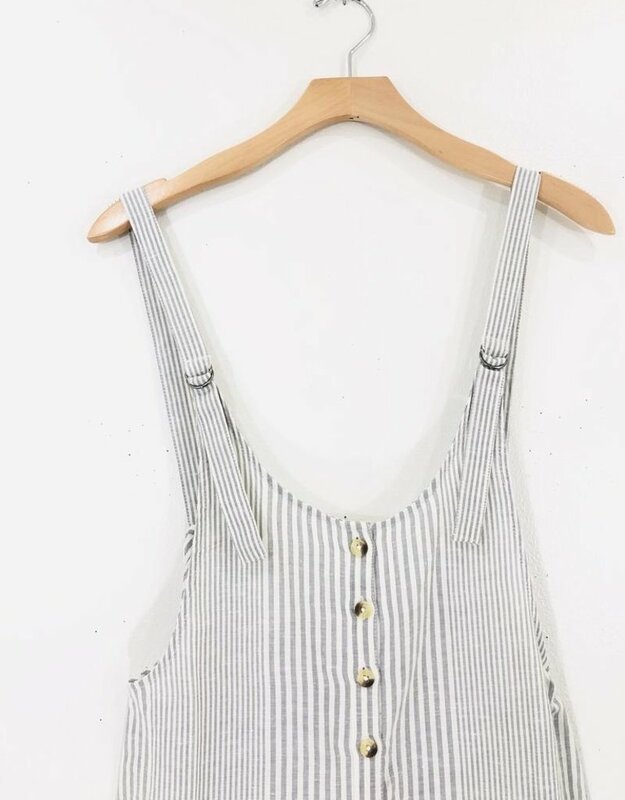 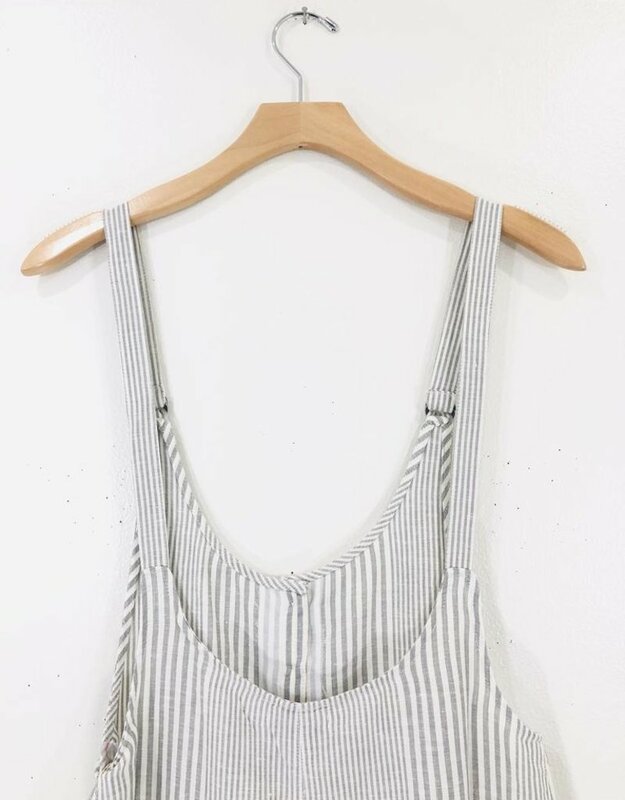 The adjustable grommet straps of this thin striped number make it easy to adjust the length to wear with a bralette or graphic tee. 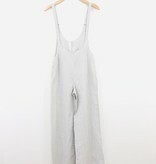 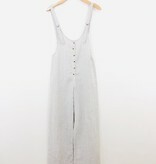 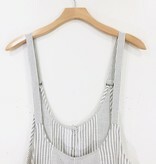 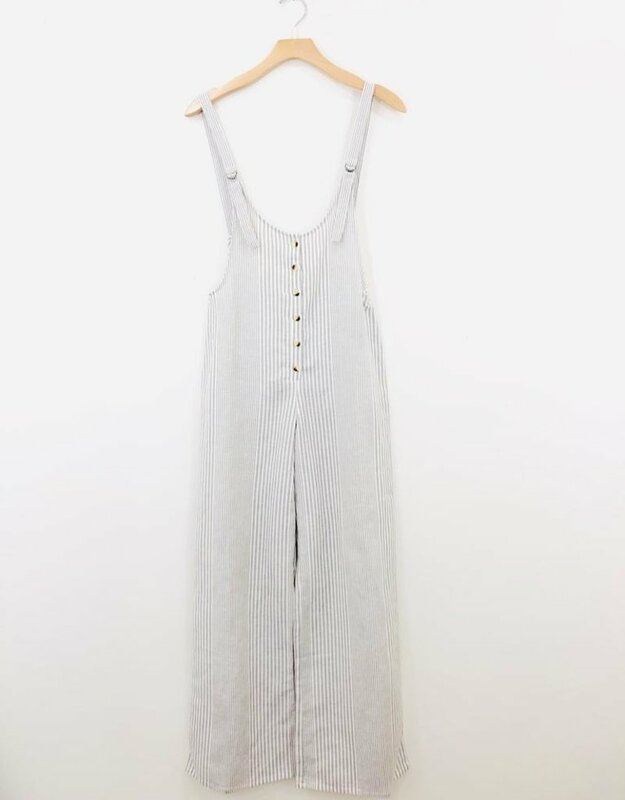 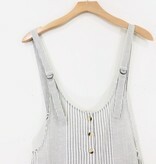 This woven overall features a wide leg fit and button front details.